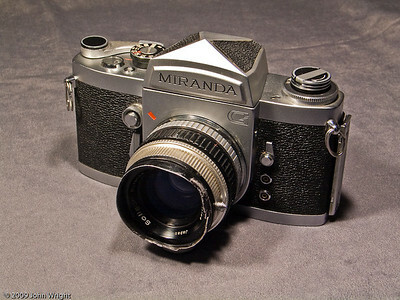 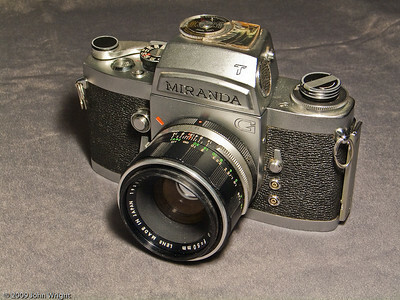 A Miranda G (35mm)camera with standard viewfinder prism. 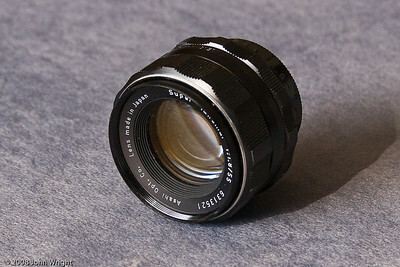 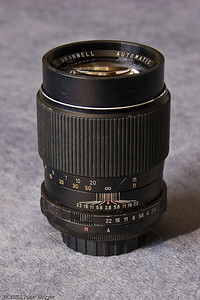 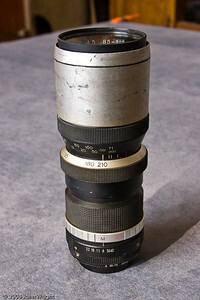 The lens is a Soligor M44 mount with a preset aperture. 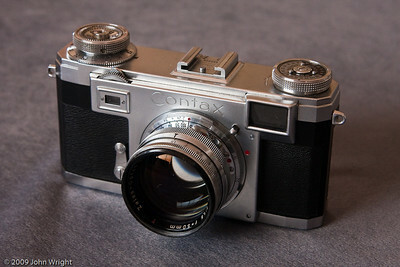 This is the same camera as the previous picture, but configured as I purchased it. 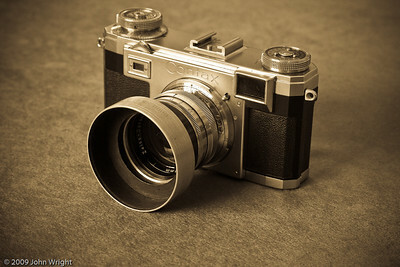 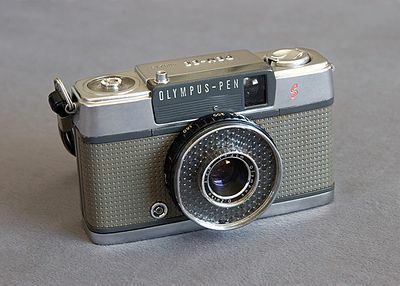 Olympus Pen-EES Half-Frame. 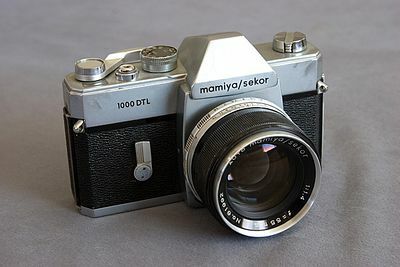 My other Vietnam camera. 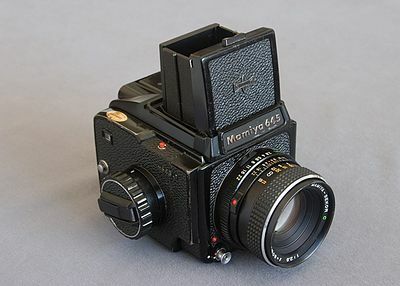 72 frames out of a 36 exposure roll of 35mm film... And pocket size to boot! 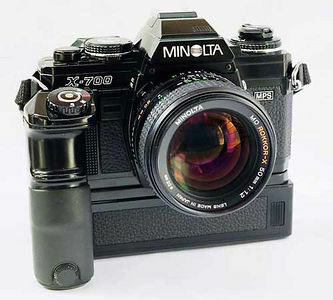 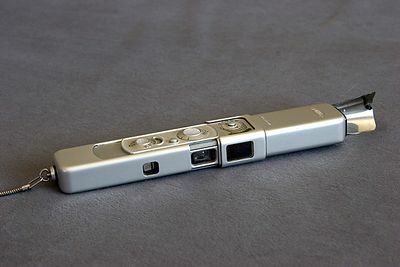 Minolta 16. 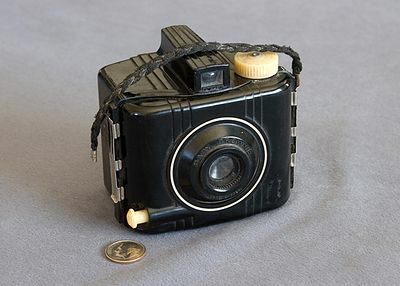 This camera used 16mm film packaged in a dedicated cartridge. 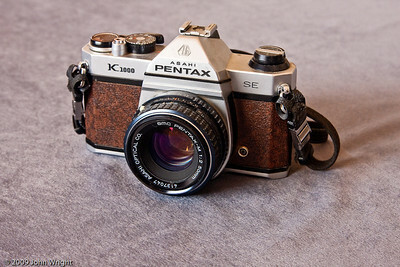 The film and cartridges haven't been made since 1990. 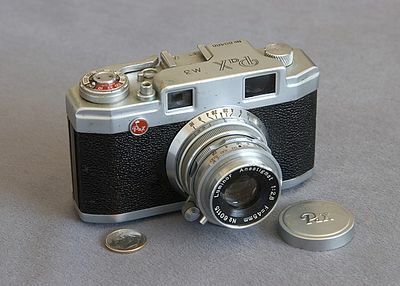 Pax M3 35mm camera built the Japanese Yamato company. 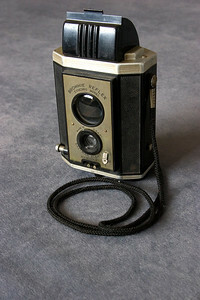 Baby Brownie Special (First camera I ever owned, at age 8) 127 size film produced an image 1 5/8 X 2 1/2" in size. 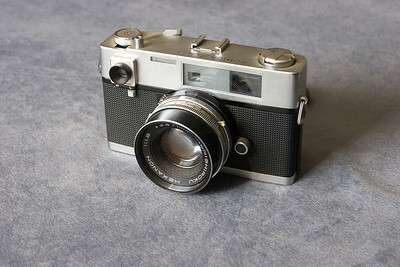 Yashica Twin-Lens Reflex. 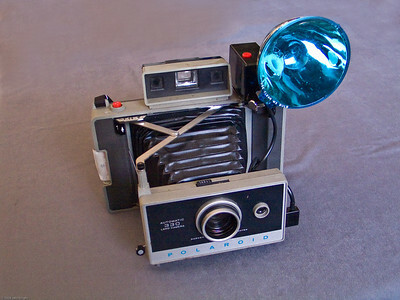 This Japanese knock-off of the Rolliflex uses 120 or 35mm film (with a special adapter). 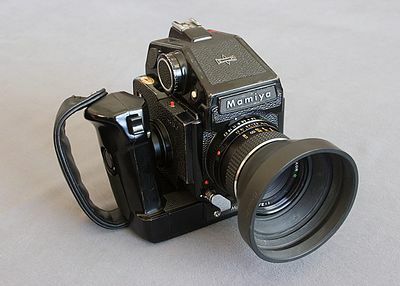 Mamiya 645J Medium Format in full regalia. 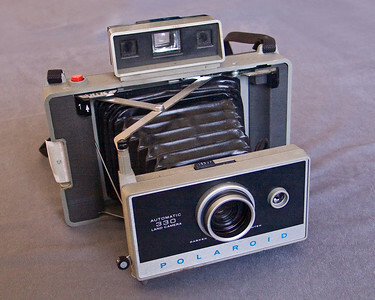 This camera included separate inserts for 120 and 220 film. 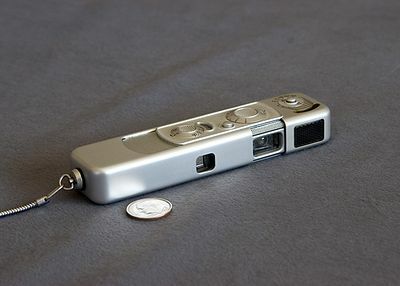 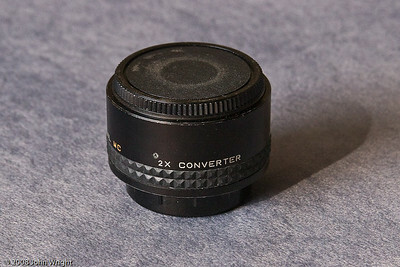 It produces a negative 6cm X 4.5cm in size. 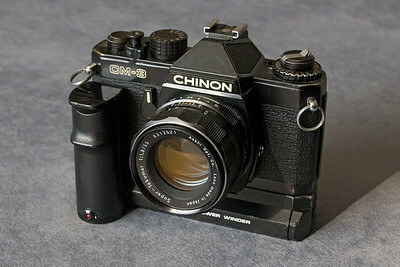 Canon EOS 1 35mm. 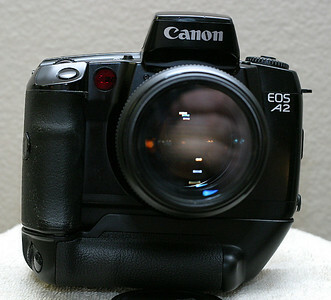 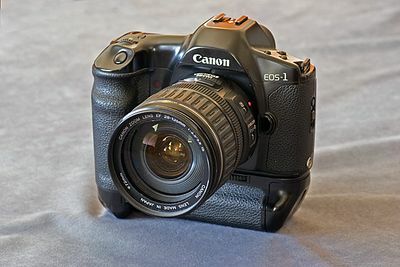 The granddaddy of all Canon Series 1 cameras, film or digital. 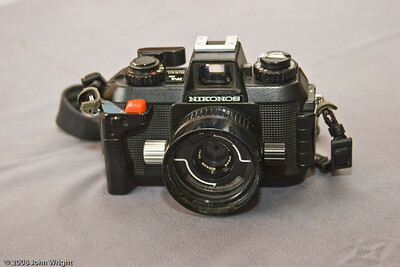 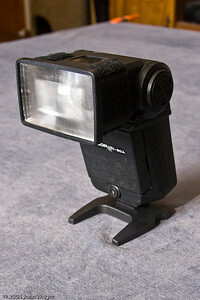 Nikonos IV 35mm underwater camera by Nikon. 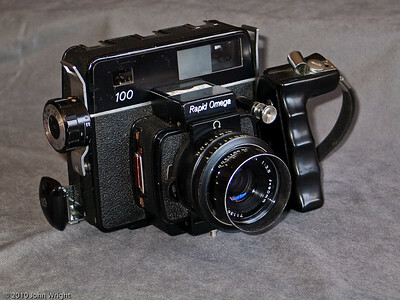 Koni Omega Rapid 100 6X7 mediujm format camera using 120 size film. 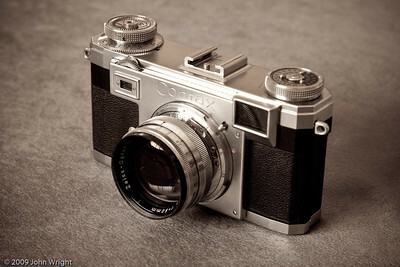 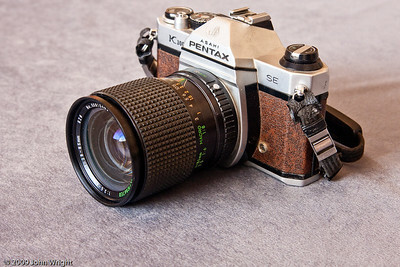 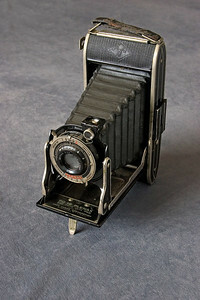 Agfa Plenax Camera, ca. 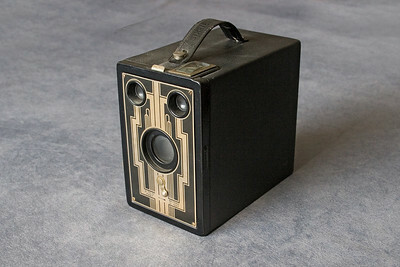 1930's. 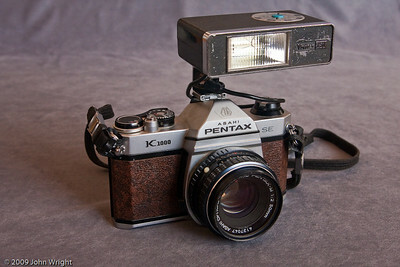 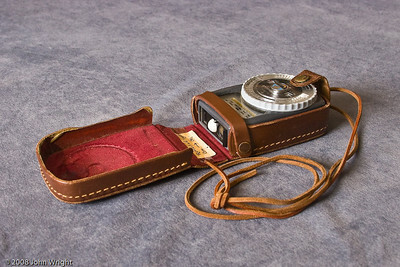 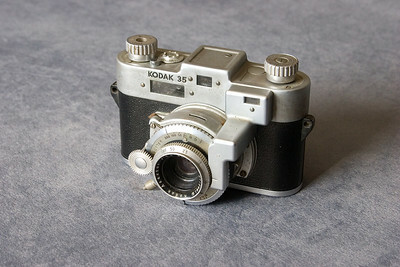 This camera used Kodak 616 film and produced a negative 10.5cm X 6.5cm in size. 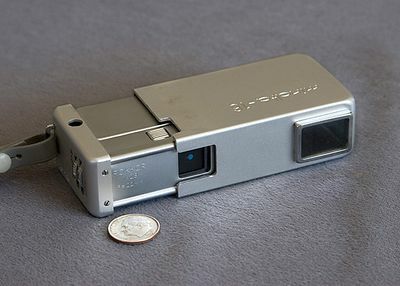 Kodak Brownie Reflex, Syncro Model. 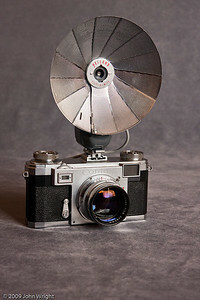 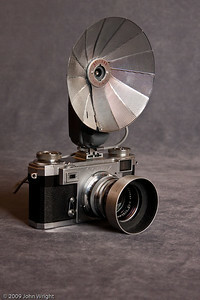 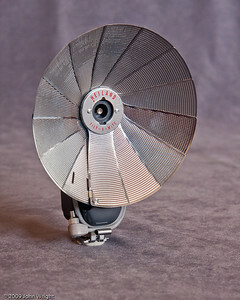 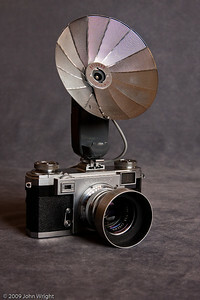 This camera produced a negative 1 5/8" square negative on 127 size film. 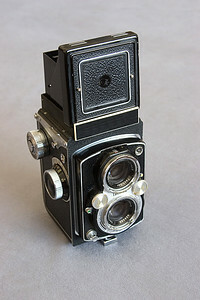 Kodak Brownie Six-16 Camera. 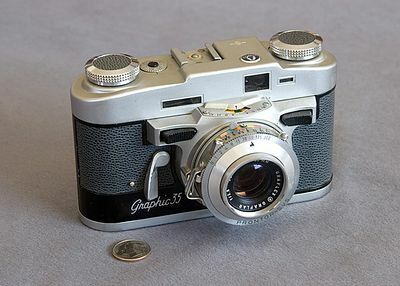 Another model using 616 film for a 2 1/2 X 4 1/4" picture size. 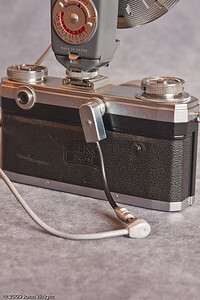 Ansco Clipper camera also used 616 film. 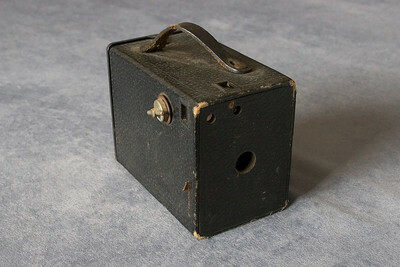 It produced a picture 2 1/16 X 2 1/2" in size. 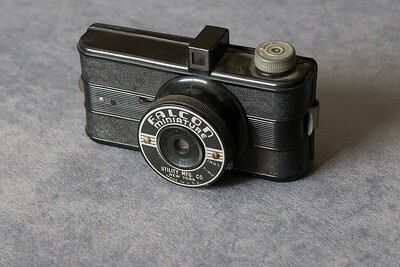 Falcon Miniature 127 film camera. 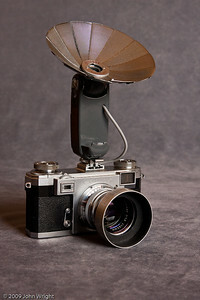 Goodwin No. 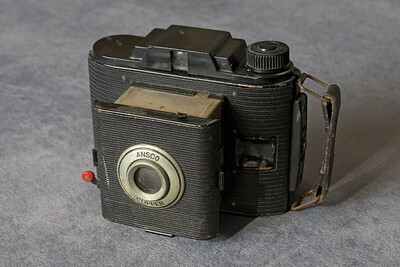 2 Camera by Ansco. 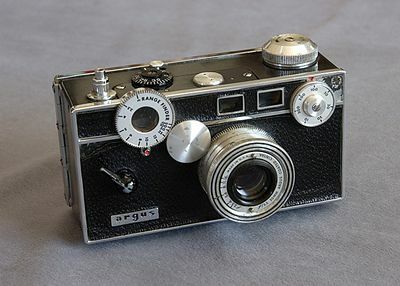 The camera used Ansco’s 4A film, equivalent to Kodak’s 120 film.